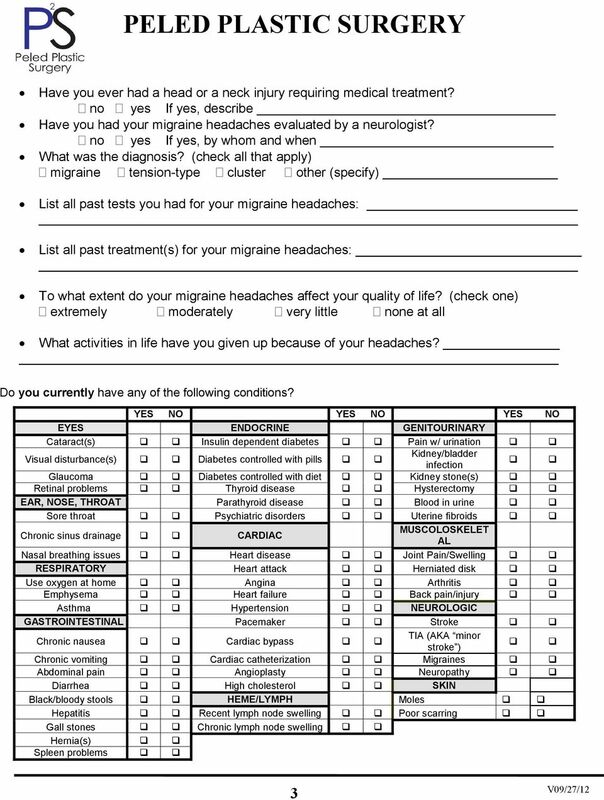 Download "PELED PLASTIC SURGERY HEADACHE HISTORY FORM"
Please bring your insurance cards, recent medication list, recent testing (blood and urine tests, renal scans/ultrasounds), insurance referrals (if necessary), and a prescription from your referring physician. 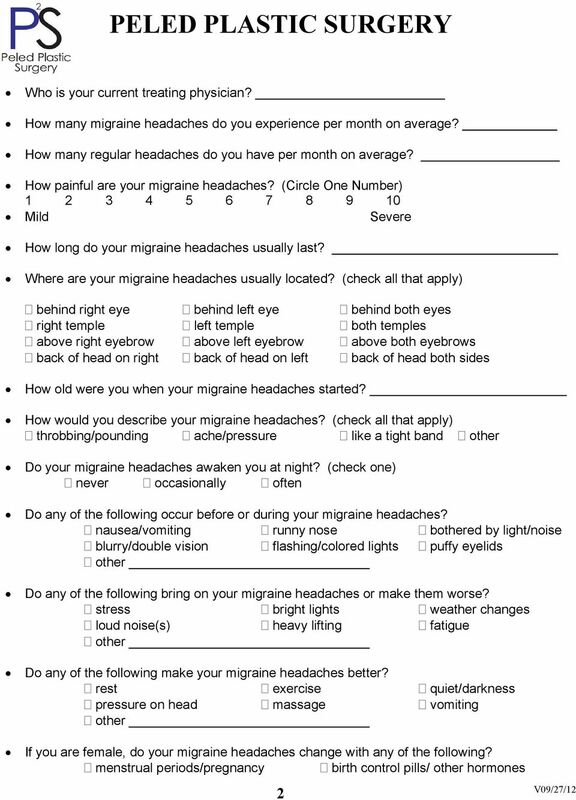 Patient Checklist. Expect to pay your co-pays and non-covered services on the day of service. 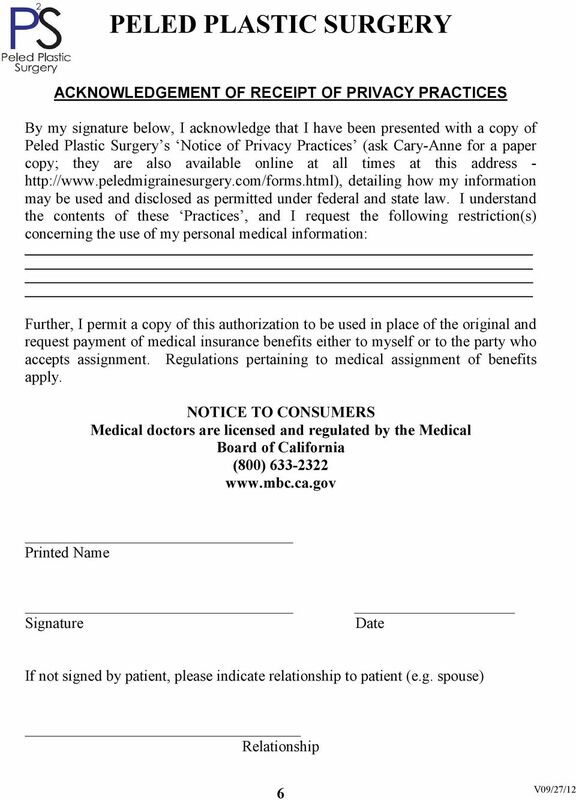 MVA/ PI Registration Form. Is this accident work related? YES or No If yes, stop here and notify front desk for different forms. 16300 Sand Canyon Avenue, Suite 612 Irvine, CA 92618-3706 Phone# 949-753-1001 Fax# 949-753-1115 (Please Print) Today s Date / / PATIENT INFORMATION Name Last First M.I. 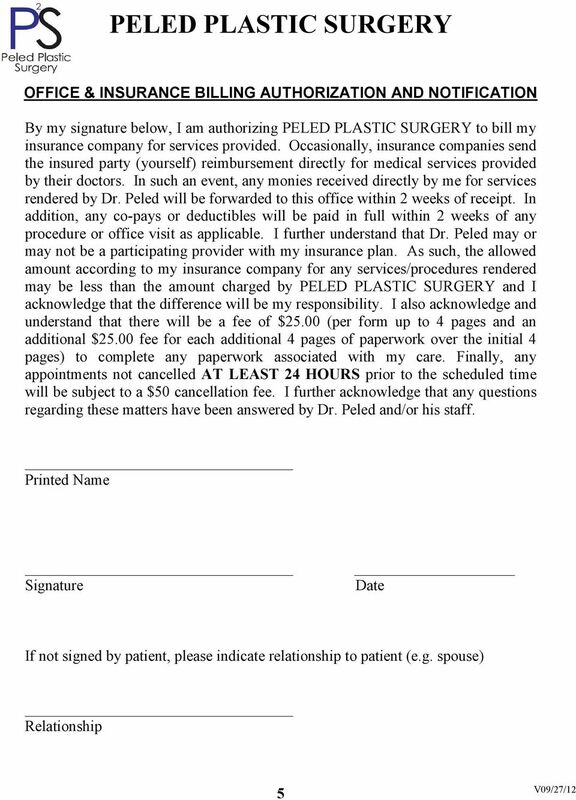 Maiden Name: SS# Email: Mr. Ms.
NEUROLOGY ASSOCIATES OF ROCHESTER, P.C. ANDREW STERN, M.D. ANNE M. MOSS, M.D. ASHANTHI GAJAWEERA, M.D. RYAN V.V. EVANS, M.D. ERICA B. PATRICK, M.D. 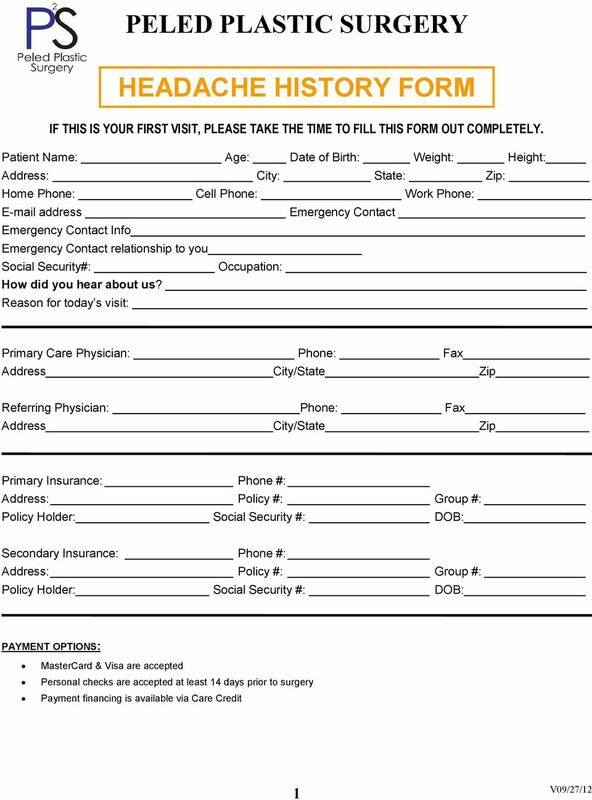 Orthopedic Patient Information Please complete the following questionnaire. 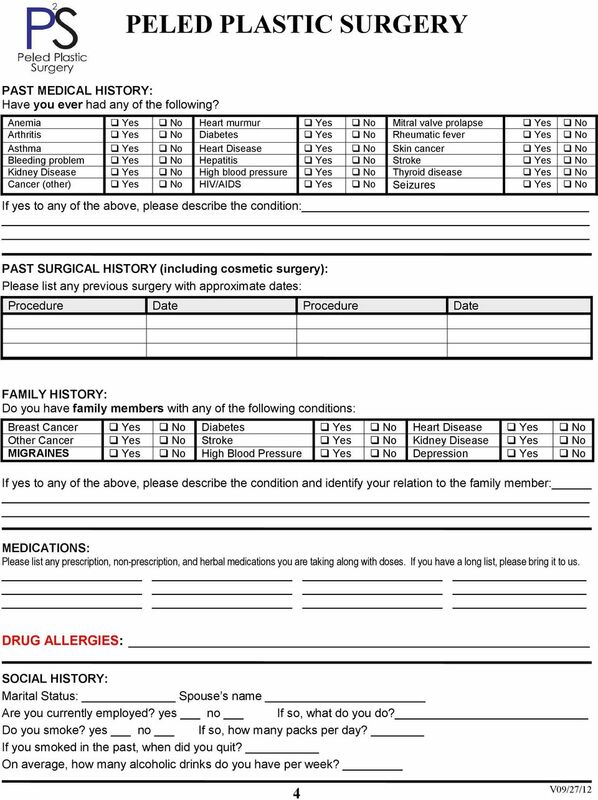 It is designed to assist our providers with your care and better understand your medical information. Please answer every section.